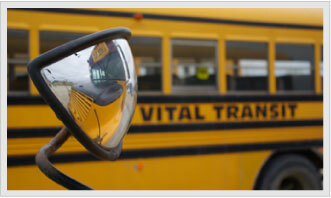 Vital Transit Service has over 65 buses in our fleet for charters. We have charter buses and motor coaches in a variety of sizes and configurations to meet your needs. In addition, we have shuttle buses, school buses, and handi-cab vans for groups of 1 to 50, or more. We can get you there safely and on time with our quality equipment.